Nuals Kochi placed one-third of its graduating class of 65 this year – 22 graduates found jobs with law firms, corporates, legal process outsourcing (LPO) and other organisations on campus while four more bagged offers through independent efforts (pre-placement offers (PPO) and off campus). 38 students participated in campus recruitment, which began in June of this year, according to the law school’s placement cell. NUJS Kolkata placed 72 of its 115 graduates this year, Nalsar Hyderabad placed 71 out of 78, and RMLNLU Lucknow placed 45 of its 150 graduates. Indialaw was the heaviest recruiter among four law firms recruiting from campus. A total of six law firms hired Nuals 2014 graduates. Correction 7 August: The RCC has sent us some updated information, which has been reflected in the below tables. Indialaw recruited five, not 6 as reported earlier, while LPO QuisLex also made one offer, and one student will be going for a judicial clerkship. Six students ended up with company roles from three organisations. Pangea3 was the only LPO visiting campus - it recruited the second-highest number of 2014 graduates on campus after law firm Indialaw. Update: Quislex also made one off-campus offer. Policy research organisation LAMP chose one fellow from campus while one accepted NGO LIFE’s offer off campus. The placement cell wrote in an email that 10 students had gained admission to LLM at various places “including foreign universities such as University of Barcelona, Spain [...], Queen Mary University of London and Indian universities such as Indian Law Institute, Symbiosis Law School”. Two Nishith Desai? That is impressive! FYI the High Court of Kerala is at Kochi. does this even mean anything??? "Cochi High CourT" (Seriously?) ...Firstly, the Kerala High Court is in COCHIN/KOCHI (Kindly make note of the spelling! )...Secondly, that's stereotype thinking. Check out the Gauhati/Allahabad/Andhra Pradesh HCs for instance (not the same "colour" now, is it?). 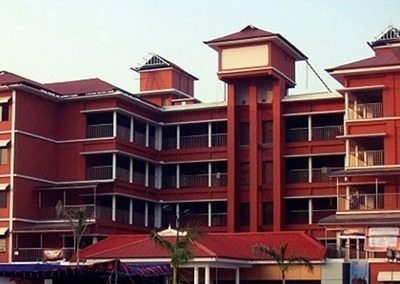 Also, check out University College, Trivandrum..it's the same "colour" again. So please appreciate the building for it's construction. They have tried to bring in the traditional kerala architecture (notice the roof) which gives the whole building a unique and a very beautiful look. You should also visit the campus during rains/sunset. Very picturesque and is a treat for the eye! haha... this guy got emotional. Why are LLM's being considered as part of recruitment figures? Does the recruitment committee help the students to obtain a seat for LLMs? A regular recruiter Desai & Diwanji is not even in the picture. Are NUALS students so bad that after Desai Diwanji recruited for few years they did not want to recruit this time? Keep it up NUALSIANS...........Way to go.